Mauritania bridges the Maghreb and western sub-Saharan Africa regions. Vast and largely desert, Mauritania is sparsely populated and is one of the world’s poorest countries. Approximately 23 percent of the country’s population lives below the poverty line on less than $1.25 a day, and about 47 percent are living in multidimensional poverty with acute deprivation in health, education and standard of living. Of the 1.2 million food-insecure people, 468,000 face severe food insecurity. Twenty-one percent of children under age five are stunted and 14 percent are underweight. Mauritania continues to host the second largest number of Malian refugees who have fled their homes following an outbreak of violence in 2012. 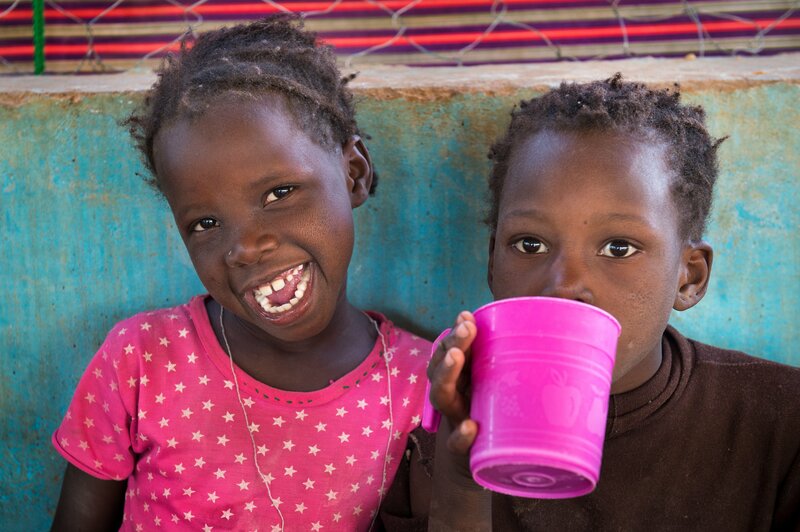 WFP has been present in Mauritania since 1964, and its strategy identifies three priorities: improving coordination and consultation; reducing risk and creating national capacity to prepare for crises; and investing in human capital development through social protection. Protracted relief and recovery operations: WFP provides assistance to the most vulnerable and food-insecure people and protects their livelihoods. Due to funding shortfalls, the project was scaled down to cover the six most vulnerable regions where WFP assists people affected by food insecurity through food distributions using cash and food. The UN agency also provides specialized nutritional products to malnourished and highly vulnerable children and pregnant and nursing women. In 2016, WFP aims to provide food and nutrition assistance to more than 430,000 people in rural areas with the highest food insecurity and malnutrition rates. Food assistance for assets: This program helps the most vulnerable rural communities build their resilience to withstand future shocks. As of May 2016, the program includes assistance to refugees in the Mberra camp where WFP provides food and nutritional assistance to 42,000 refugees. WFP is planning to provide assistance to 50,000 Malian refugees in this camp in 2016, as well as to introduce a cash component, which will represent 30 percent of the food rations distributed to refugees here. School meals: In collaboration with the Ministry of Education, WFP provides school meals to 150,000 children enrolled in public primary schools in eight rural regions. Though the program was suspended at the end of 2015 because of limited funding, the UN agency aims to distribute daily school meals to 160,120 primary schoolchildren from food-insecure and highly vulnerable families in 2016. The UN Humanitarian Air Service (UNHAS)—managed by WFP—was established in Mauritania in 2012 to provide access for the humanitarian community in remote and vulnerable areas of the country. UNHAS provides regular air services to aid workers reaching six destinations in Mauritania. The service is the main means through which humanitarian personnel access people from the capital of Nouakchott.